We estimate this scroll was drawn before the Second World War. There are some faint spots and slight folds on the drawing part. Japanese Sasa bamboo grass is drawn in the Suiboku method using Fude brush and black Sumi ink only. 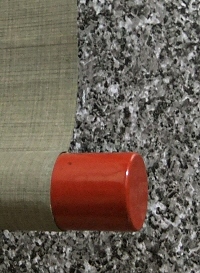 A Kanji short poem is also written at the middle. 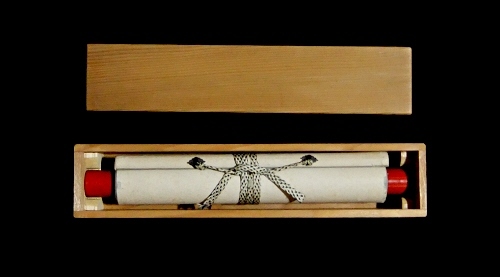 This scroll is suitable for Chanoyu Japanese tea ceremony. Although, it is also good to hang it in an ordinary room.